With roots in Folk, Bluegrass, Punk rock, Alt. 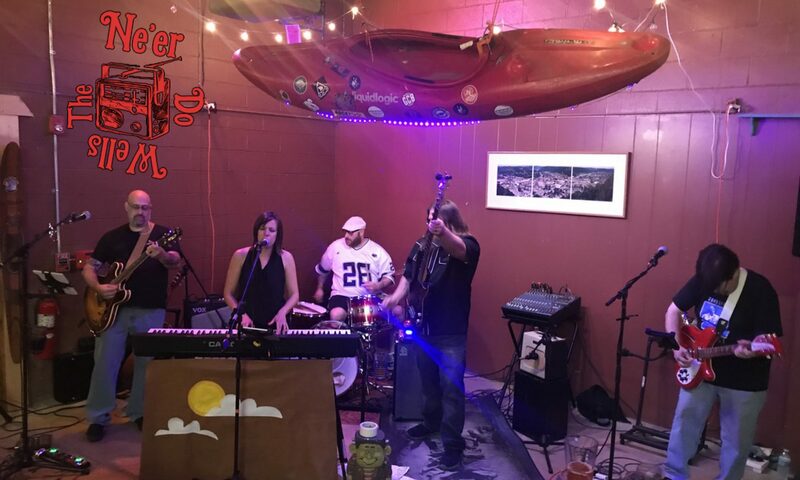 rock, Americana, and everything in between, The Ne’er-Do-Wells pull together to bring you their own brand of Underground Rock-n-Roll. With the pure voice of singer Sonya Giuffre and the commanding lead guitar of Adam Milkovich, each song paints a bittersweet picture. The driving second guitar of Mike Giuffre fronts the strong rhythm section with Leo Drager’s bass lines adding the perfect blend of melody and push. Justin Giuffre completes the circuit taking care of time keeping. Their songs reflect everyday life in a sweet melodic way paired with a distorted, gritty backing track.